The Chamber was established in 2015 to contribute to the development of the economic relations between Bulgaria and India with regard to trade, industry, agriculture, services and other activities as well as to represent and assist its members. Н.Пр. Президентът на Република Индия Рам Натх Ковинд бе на държавно посещение у нас от 4 до 6.09.18. Това е първото посещение на индийски президент в България за изминалите 15 години, което възстановява и политическия диалог на най-високо равнище между двете страни. Hear a brief presentation of a “Make in India” campaign of the Government of India and the plans of the Chamber at Official Inauguration of the Chamber on 16 February 2016. May the New Year bring you health, peace, plenty and prosperity! Четвъртото международно изложение “Steel Expo 2019” ще се проведе на 21-24 януари 2019, в гр. Мумбай. На членовете на ИББК се дава възможност да посетят безплатно изложението. IBBC cordially invites you to join Diwali celebration – the biggest Indian cultural and family festival on 10th November, 2018 at Inter Expo Center – Интер Експо Център, Sofia. Membership is open to reputable individuals and companies of all sizes and nationality that demonstrate interest in fulfilling the goals of the Chamber. Our partnership with the Indian Embassy in Sofia is instrumental to our success. Our cooperation with the Bulgarian Embassy in Delhi is important for our activities. The Council of EU Chambers of Commerce in India was the first Indian business organization we signed a cooperation agreement with. 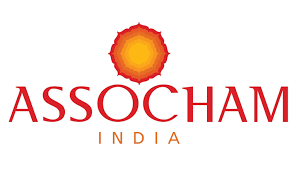 ASSOCHAM (The Associated Chambers of Commerce & Industry of India) was established in 1920. Having in its fold more than 400 Chambers and Trade Associations, and serving more than 450 000 members from all over India, it plays a catalytic role in shaping up the trade, commerce and industrial environment of the country. FICCI (Federation of Indian Chambers of Commerce and Industry) was established in 1927. It serves its members from the Indian private and public corporate sectors and multinational companies, drawing its strength from diverse regional chambers of commerce and industry across states, reaching out to over 250 000 companies.